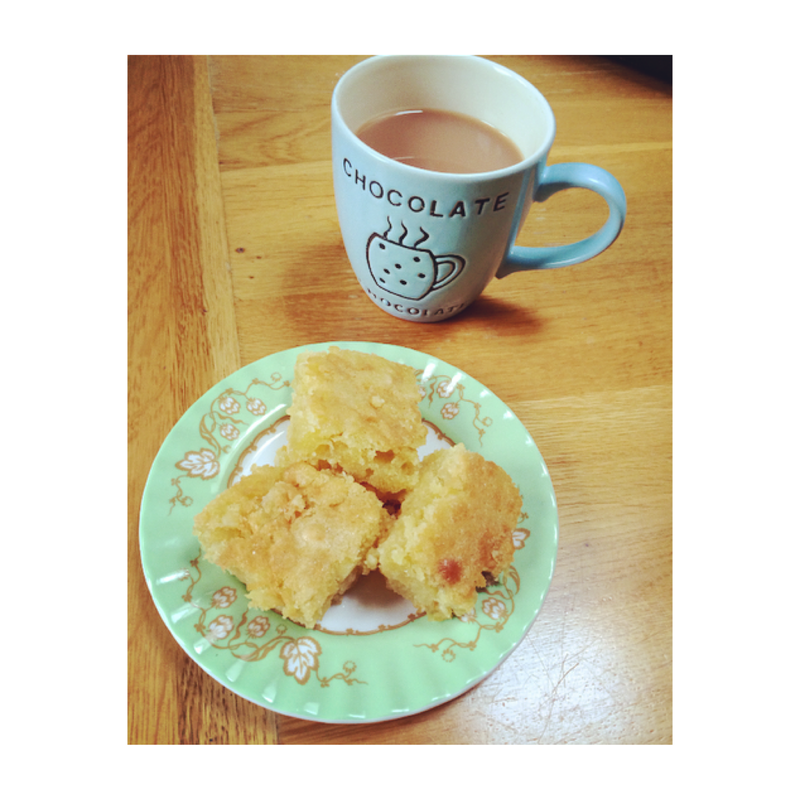 Hobbits & Hairdye: Baking | White Chocolate Blondies. Baking | White Chocolate Blondies. Now I am a huge fan of brownies, I'm also a massive fan of white chocolate…I'm sure you can see where this is going. Yes, thats right I chose to combine the two to make the oh so well known 'blondie.' They tasted pretty damn good if I do say so myself so I thought I would share with you how to make them in case you're interested. 100g Macadamia nuts, chopped -- though in hindsight I'd probably use less next time. Preheat the oven to 180C/350F/Gas 4 & Grease a cake tin with butter. Beat together the sugar and eggs until the mixture is pale and fluffy. Beat in the melted butter a little at a time. Sift the flour and add to the mixture, folding as you do it. Chop the macadamia nuts and add those and the chocolate chips and fold them into the mixture. Spoon/pour the batter into the cake tin and shake until it is all level. Pop in the oven for 30-35 minutes, use a knife or skewer in the centre to check if it is ready, if it comes out clean it means they're ready, Set aside to cool. Once cooled, cut the brownies into desired sizes and enjoy. An easy and delicious treat, perfect for those who fancy a change from the regular brownie. Have you made blondies before? What did you think?